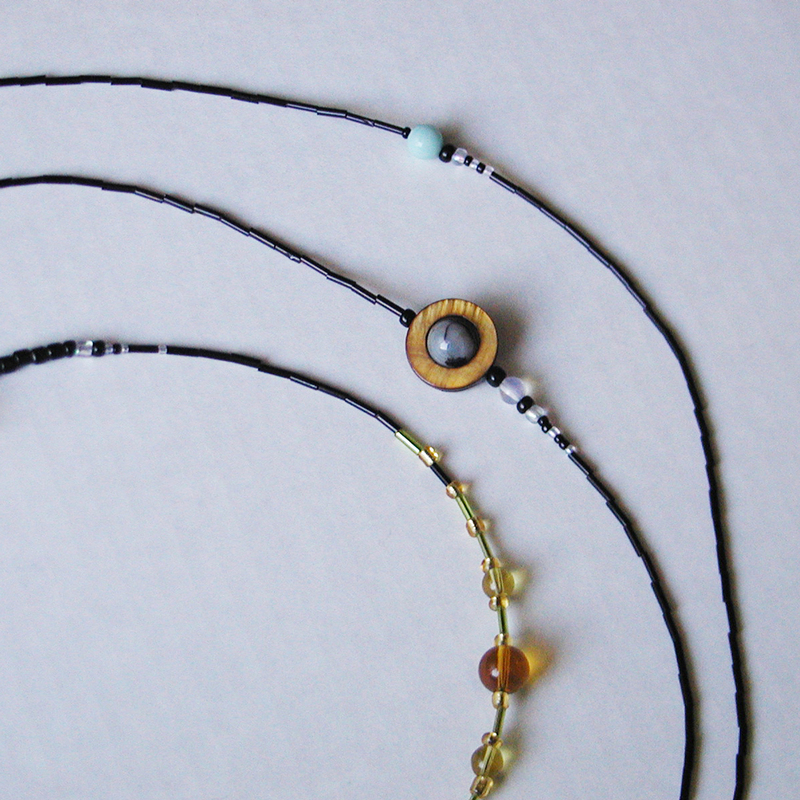 Years ago, I discovered a particularly nice piece of agate in a friend’s bead shop that reminded me of Jupiter, and created a “Jupiter necklace” with other beads orbiting around it like moons. In the Solar System design, I decided to “zoom out” and focus on using small beads to measure the proportional distances between the planets. It took some calculations, a few abstractions, and a couple of prototypes: the first version was 75 inches long, made with 7-millimeter tubular glass bugle beads, each bead representing about 20 million miles. This Solar System Necklace design seemed like a good way to translate the mind-boggling distances of space into something tangible, something that people can measure physically with familiar objects. 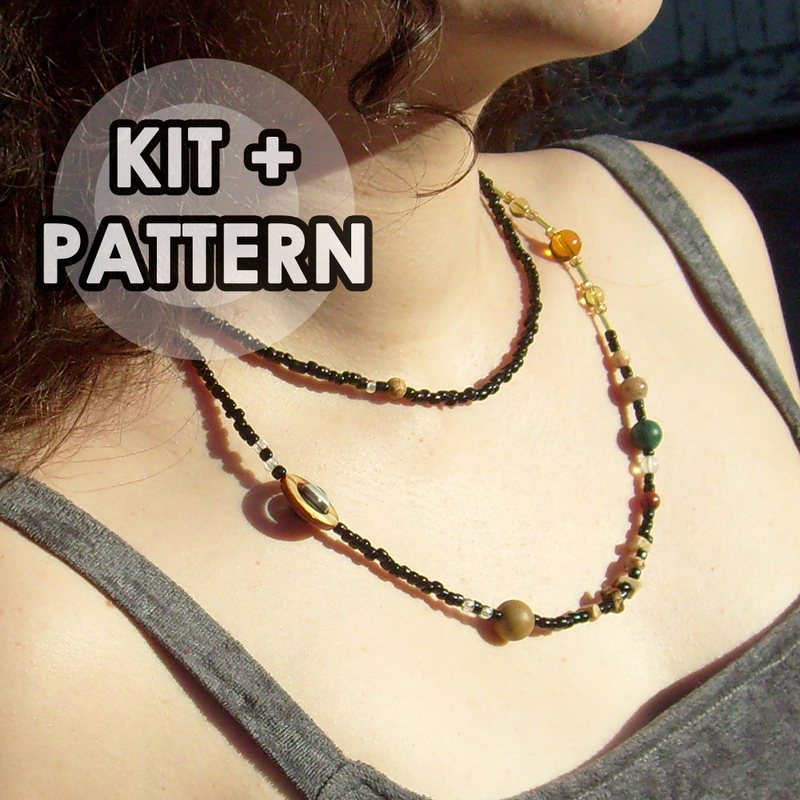 Laura will sell you a complete 75″ necklace based on her original design for $75, a shorter 38″ version for $55, a kit for $24.50, or just the pattern for $5.